Discussion in 'Native Lenses' started by alpenglow.photo, Apr 15, 2018. So, I've recently purchased a Panasonic Leica 15mm f1.7 for landscape astro. There is some noticeable C.A. appearing as purple halos around large stars. Image shown is 100% crop, about half way from center to edge. Can anyone provide advice on the most likely reason for the severe C.A.? The PL15 has bad purple haloes around bright light sources (especially when out of focus) when used on an Olympus body, due to weaker UV filtering on said bodies. Is it all Panasonic lenses on Olympus bodies that have this issue, or just the PL 15mm? Which other lenses are likely to perform better for landscape astro? If that is true, can you use a HQ UV filter on the front of the lens to compensate? I hadn't considered that. Not sure what frequencies would need to be filtered. The difference in UV-cut on the Panasonic vs. Olympus sensors is basically equivalent to a Haze 2A or 2E (from Wratten, Tiffen, or Formatt) or a B+W 420. However, one downside of this filtration is that these filters are apparently not coated, so they reduce transmission somewhat. 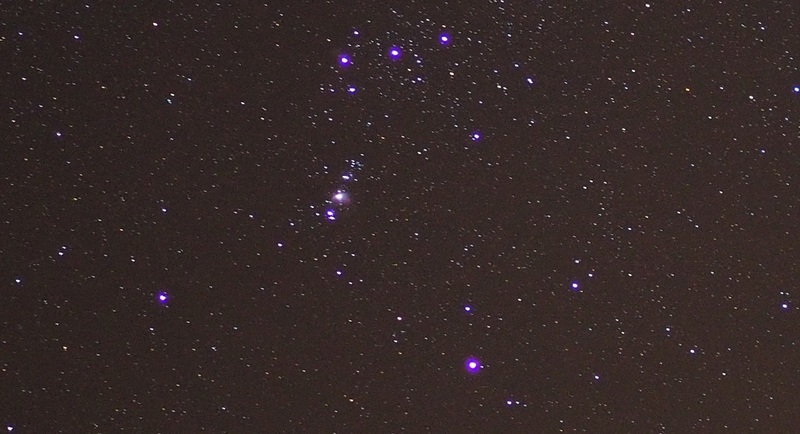 Which is not great for astrophotography, obviously, where you always need as wide an aperture as you can possibly get.